Collection / Sketches that Became Paintings	/ From the roof of the Instituto, San Miguel de Allende. I had painted a scene from this roof, but this time I wanted to try rooftops with their ventilators. The colours are striking and real. This sketch was the subject of a larger watercolour completed afterwards. Feedback for "From the roof of the Instituto, San Miguel de Allende." 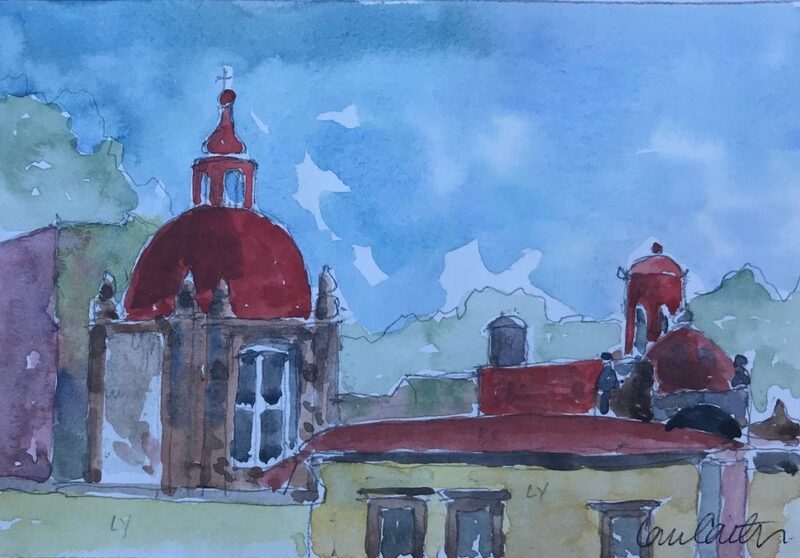 Purchase Inquiry "From the roof of the Instituto, San Miguel de Allende."